It seems only appropriate that I dedicate this month's list to scary stories. With Halloween coming up next month and longer, chillier nights on the horizon, it seems the perfect time for some fright. I LOVE scary stories and movies so I'm definitely looking forward to extra time curled up on the couch under a warm blanket, scaring myself silly! Fosse House, home of the reclusive Luisa Gilmore, harbours curious secrets - secrets that stretch back almost a century, to the ill-fated Palestrina Choir in its remote Belgian convent. 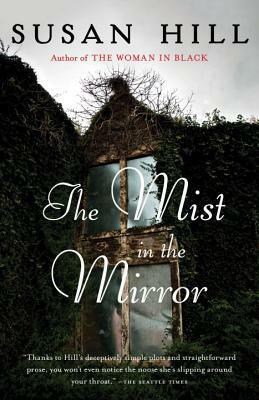 When Oxford don Michael Flint travels to the house to trace the origins of the long-dead Choir, he is at once aware of the house's eerie menace. Who is the shadowy young man who lurks in the grounds, and why does his exact likeness appear in a sketch from 1917? What is the strange whispering that echoes through the corridors? And why is Luisa so afraid when a storm makes it necessary for Michael to spend the night inside the house? Back in Oxford, when Nell West uncovers the story of the infamous 1917 'Holzminden sketch' - the lost, legendary drawing from World War I - a dark fragment of the past begins to stir. A fragment that Michael, in the lonely old house, may not be able to resist. 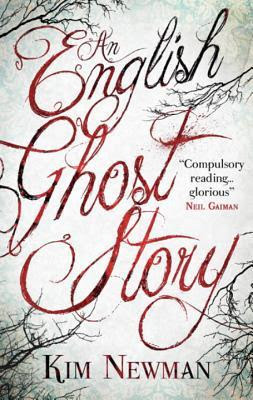 A chilling, classically-inspired ghost story from Susan Hill, our reigning mistress of spine-tingling fiction. For the last twenty years Sir James Monmouth has journeyed all over the globe in the footsteps of his hero, the great pioneering traveler Conrad Vane. In an effort to learn more about Vane’s early life—and his own—Sir James sets off for the remote Kittiscar Hall on a cold and rainy winter night. But he soon begins to feel as though something is warning him away at every turn; there are the intense feelings of being watched and the strange apparitions of a sad little boy. And as he learns more about his hero’s past, he discovers that they are only the beginning, for Kittiscar Hall is hiding terrible secret that will bind their lives together in ways he could never have imagined. Stephanie at Layered Pages shares five books she's looking to tackle this bookish Halloween HERE. 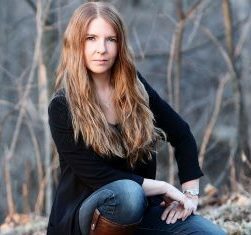 Magdalena at A Bookaholic Swede has five horror and mystery books that are making her spine tingle HERE. Erin at Flashlight Commentary has another batch of bookish Halloween books to share this month (is anyone else seeing a pattern ;) ) HERE. Heather at The Maiden's Court is sharing 5 books similar to The Devil in the White City HERE. Holly at 2 Kids and Tired has 5 delicious-sounding novels centered around cupcakes HERE. 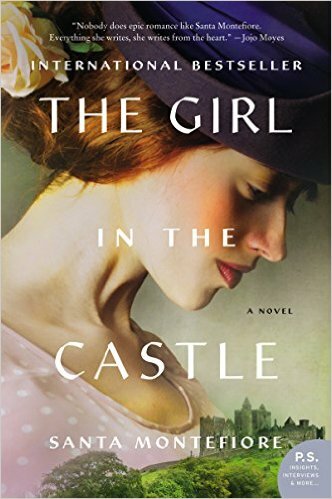 The Girl in the Castle is everything I love about historical fiction! While only tackling about 15 years, it has the epic feel often found in family sagas spanning much longer periods of time and fills in an interesting time and place in history with characters who are fighting, loving, and living during it all. I've enjoyed Santa Montefiore's books in the past but this newest novel surpasses them all, in my opinion. in both character and plot development. One of the key ways this book surpasses the author's previous books for me is the wonderful detail and depth given to so many fascinating characters. All of Santa Montefiore's books are incredible in descriptive details and completely whisk the reader away to windswept shores or green fields, but I've gone back and forth (depending on the story) with a lack of appreciation for her characters and the drama and experiences surrounding them...they just sometimes fell flat. In this novel, however, each of the characters, whether prominent or not (and there are a lot of characters throughout), are all well developed and formed and perfectly served their purpose whether that was to be a hated, loved, or somewhere in between. They are complicated and diverse and even when they made poor choices or hurt other people I appreciated each one for their role in progressing the story. Bridie, Kitty, and Kitty's grandmother, Adeline, are particular favorites and I delighted in going along on all the ups and downs (and there are some extreme downs!) they experienced. As I mentioned above, I've enjoyed the descriptions and plot development in all of the novels I've read by this author, but I particularly enjoyed this story as it took place against a background I had not read much about before. Taking place before, during, and after the Irish War of Independence I was fascinated to learn about the circumstances of the war and the biting strategies employed by both the Irish and the English during this fight. I loved the fact that the characters actually participated in this drama as well as discussing it and that it was all brought completely to life with the beautiful descriptions of the verdant land the Irish were fighting for. The structure of the story is wonderful as well, starting in 1925 with two boys playing in the rubble of Castle Deverill as they spy a woman coming to lay claim to the property, then going back to 1910 and progressing until we arrive back to the boys and discover who has returned. 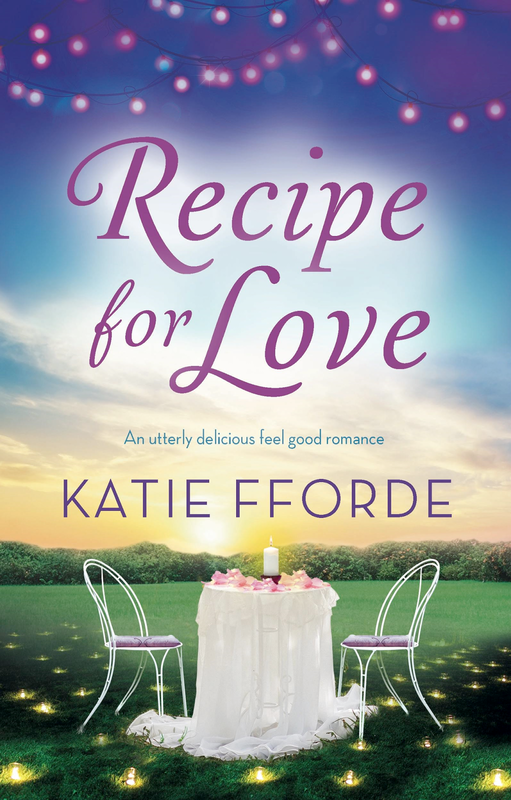 The meat in the middle is delicious as it moves from the coming-of-age story of friendship between Kitty, Bridie, and Jack through love and loss and second chances. The epilogue, which leaves this story to continue in the next installment on a shocking realization, ended it perfectly for me and really makes me anxious for the next book to come out (which looks to be coming out in the US in April 2017). I love twist or cliffhanger endings to keep me excited while I wait! Finally, I can't end my review without mentioning my absolute favorite aspect of the novel: the ghosts! 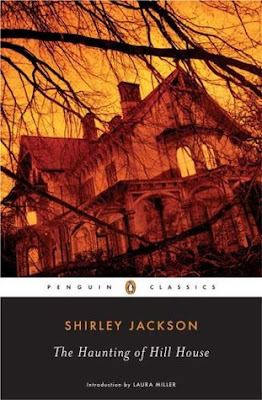 A key characteristic of both Kitty and her grandmother are their abilities to see and interact with the family ghosts inhabiting Castle Deverill as well as the curse that hangs over the family that each male in line to inherit will be forced to spend his afterlife trapped at the castle. Their interactions with these ghosts were funny, touching, and even a bit unnerving at times and I'm really hoping the next installments deal with this topic as well. The Girl in the Castle has become my favorite of Santa Montefiore's novels. I can't really find fault in it, other than possibly that it could have been a little shorter, and I would definitely recommend this to anyone who likes historical fiction that incorporates drama, passion, and a host of characters searching for their place in a world not fully of their making. I absolutely love it! The woman on the cover is exactly how I picture Kitty, even having her red hair which I LOVE as so often the covers seems to miss out on the little details (like hair coloring) discussed in the book. Having her sort of loom over the castle and verdant green lawns perfectly captures the story for me. Kitty is intrinsically tied to her Irish land so it would only be fitting to show it as almost a piece of her. One of my favorite covers of the year! Thank you to HarperCollins Pushlishers and TLC Book Tours for providing me with a free copy of The Girl in the Castle in exchange for an honest review! Continue below for more information about the book, the author, and the rest of the blog tour! Wednesday, October 12th: Dreams, Etc. Spotlight on AVELYNN: The Edge of Faith by Marissa Campbell + Tour-wide Giveaway!! Marissa Campbell is a published freelance author, and co-author of the award-winning, spiritual Life: Living in Fulfillment Every Day. 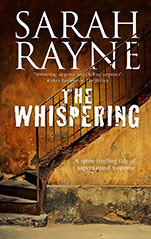 Her debut historical fiction AVELYNN, was published through St. Martin’s Press, September 2015. Look for the second book in the AVELYNN series, releasing Fall 2016. She is a proud member of the Historical Novel Society, Romance Writers of America, Writer’s Community of Durham Region, and local critique group B7. When she is not writing, she is busy looking after her wonderful children, spending time with her fantastic husband, hanging out with her awesome friends, teaching yoga, dancing, laughing, and having fun! 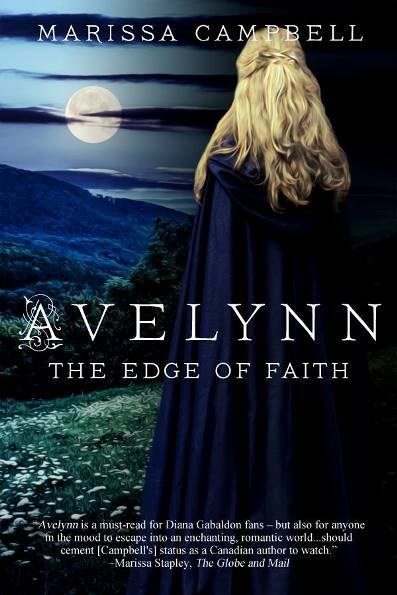 To win a $25 Amazon Gift Card or Avelynn: The Edge of Faith eBook, please enter via the Gleam form HERE. 1 gift card and 5 eBooks are up for grabs! Charlotte survived four long years as a prisoner in the attic of her kidnapper, sustained only by dreams of her loving family. The chance to escape suddenly arrives, and Charlotte fights her way to freedom. But an answered prayer turns into heartbreak. Losing her has torn her family apart. Her parents have divorced: Dad's a glutton for fame, Mom drinks too much, and Charlotte's twin is a zoned-out druggie. Her father wants Charlotte to write a book and go on a lecture tour, and her mom wants to keep her safe, a virtual prisoner in her own home. 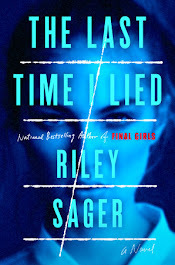 But Charlotte is obsessed with the other girl who was kidnapped, who never got a second chance at life--the girl who nobody but Charlotte believes really existed. Until she can get justice for that girl, even if she has to do it on her own, whatever the danger, Charlotte will never be free. This might be one of the most heart-breaking yet touching and hopeful novels I've read in a good long while! 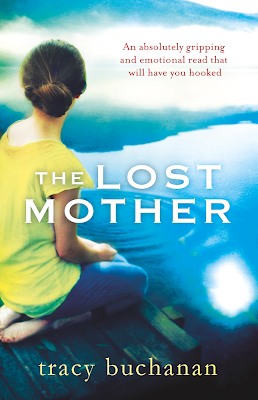 From page one the reader is thrown into a crate in a locked attic room with Charlotte and from that moment on you feel every emotion - fright, anxiety, confusion, anger, and, yes, even happiness - with Charlotte and her family as they navigate through this new world created by her kidnapping. I did have to put it down from time to time as the subject matter can be hard to read (let's face it, it is every parent's worst nightmare!) but I always picked it back up and continued as the story is told with such sensitivity and compassion and is an important story to look at in order to be able to approach the subject matter with clarity and empathy. One of the aspects I appreciated most about Aftermath was just how delicately the story was told. Given the horrid abuse, both psychologically and physically, Charlotte experienced the narrative could have easily become too graphic and salacious, but instead is presented to the reader in the words and views of a young girl who has experienced this abuse, as she might describe it. As I imagine would occur in someone who has experienced such atrocities at such a young age, we get to learn more about the long lasting and far-reaching after effects of the abuse, such as PTSD, guilt, gripping anxieties and even dissociation from herself in order to avoid dealing with what happened to her, then the details of the abuses themselves. I, for one, appreciate the subtlety displayed when discussing the details...you will know exactly what horrors happened to this poor girl without having to read anything too graphic. 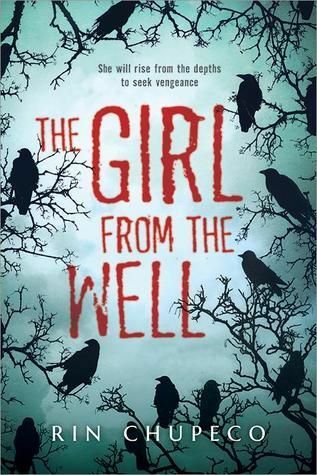 Another aspect I really found well done was the mystery surrounding "The One Before", the girl who Charlotte's kidnapper used as a threat to keep her complacent and obedient. I found that adding this mystery and giving Charlotte this goal of finding out what happened to her and making sure the girl's family knew the truth, kept the story from becoming overly heavy with Charlotte's experiences and giving some hope and drive for the character as well as the reader. This aspect really kept the story moving. Aftermath is by no means an easy read. It digs right into that pit of fear we all have and exposes those nerves we would all rather keep buried. However, I think this is a really important book to read in order to understand and appreciate what someone in Charlotte's situation goes through and feels, and to help us understand the healing process and how to best interact with someone who is dealing with this sort of pain. It's hard to say you "enjoy" a book where the characters go through so much pain, but I am in awe of Clara Kensie's ability to present this story with such tenderness and I'm excited to see what stories she brings to us next. I wasn't crazy about it at first as it's a little bit plain for my taste. However, after reading the story and spending a good amount of time looking at this cover, it really started growing on me. A big characteristic of Charlotte's time during captivity is her ability to separate her mind from the abuse being afflicted on her body, and in my mind this cover represents that escape. Whatever the intension, I think it's a good cover for what I would imagine is a hard story to put into pictures. Thank you to author Clara Kensie for providing me with a free copy of Aftermath in exchange for an honest review. 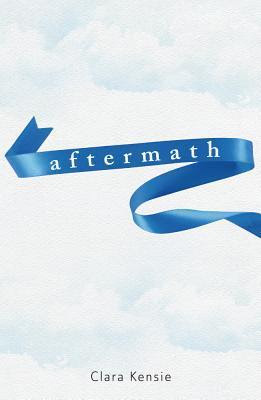 You can find more information on Aftermath, including other reviews and links to where you can purchase a copy, on Goodreads HERE. I've read a couple novels by Jojo Moyes (The Girl You Left Behind and Me Before You) and really enjoy her ability to whisk me away to either the past or the present with humor and heart, all while making me care for her characters and the ups and downs they experience. With Windfallen, I felt like I got the best of both worlds: a look into the past as Lottie Swift tackles the obstacles before her shortly after WWII as well as a present storyline showing Daisy Parsons tackling her own set of issues. What I wasn't expecting was the similarities between these two women and how their lives would become intertwined. Unlike most novels I've read that deal with dual timelines, the first half of Windfallen deals exclusively with Lottie's coming-of-age story as she decides to stay in Merham after being sent to the country and out of London during the WWII bombings on the city. I quickly came to like Lottie as she navigated the uppity family she lived with that never quite accepted her as their own. I ached with her as she fell in love with someone not meant for her (as well as felt for the boy who clearly loves her and which she doesn't feel the same for). She's a kind, forthright and sympathetic young character and I'm very glad I already liked her by the time we see her in what I think of as "Daisy's half" of the story as she becomes quite the crotchety and overly opinionated older woman. This is somewhat understandable given her life experiences, but still. I wasn't as big a fan of Daisy's story but I did appreciate how she grew as a character during her time remodeling Arcadia House. We get to see her go from a battered and broken single mom into a strong woman able to face anyone - whether that be a brash boss, busybody townfolk, selfish ex-lover, or pushy babysitter - with confidence and determination. I also liked how she ended up influencing and helping Lottie as much as Lottie helped her. They both had so much in common, even given the very different circumstances they experienced, and it was interesting to see how both their stories would twist together and apart and ultimately resolve. As I always do with audiobooks, I should mention that I enjoyed the narrator (Michelle Ford) and thought she did a good job of differentiating the characters. She did an excellent job of effectively expressing the humor in the story as well, and was able to shift between warring emotions clearly and with a good bit of impact for the listener. Jojo Moyes has such a unique way of telling a story that I'm pretty much a fan for life. While Windfallen isn't my favorite of her novels I've read (that designation still goes to The Girl You Left Behind) it is still a great story full of heart, humor, and emotion. I think it's very pretty, although I don't know if it really matches the story. I could be wrong but those trees look like they have fruit on them, and I don't recall there being any discussion of fruit trees. Otherwise, this could be Daisy walking through the overgrown gardens of Arcadia House. I'm a little surprised that the author's name is so big as well, although I imagine her name alone is a huge draw to the story. All in all a nice cover. 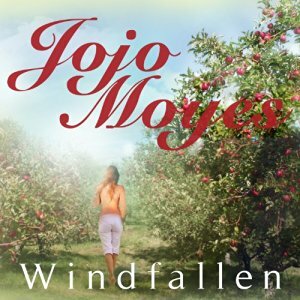 I purchased a copy of Windfallen for my own collection. You can find more information about the book, including other reviews and links to where you can purchase a copy, on Goodreads HERE. All too soon there's more than canapés, cupcakes and cordon bleu at stake. Will Zoe win the competition or is Gideon one temptation too far? And is Zoe really prepared to risk it all for love? A gorgeously romantic story perfect for fans of Susan Mallery, Mary Kay Andrews and Debbie Macomber. 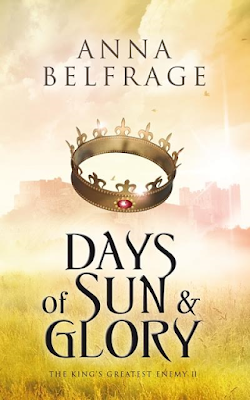 Guest Post by Anna Belfrage, Author of Days of Sun and Glory + Tour-Wide Giveaway!! 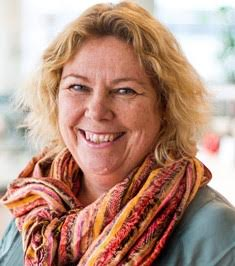 I'm so excited to have Anna Belfrage on the blog today! She's provided the guest post below, so please enjoy. 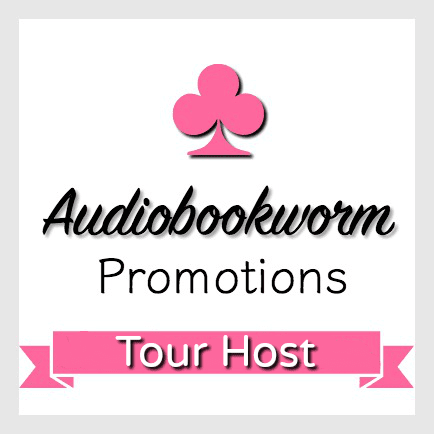 Be sure to continue after for more information about her newest novel, Days of Sun and Glory, and the rest of the stops on her blog tour! Okay, I’m going to come right out there and admit I rather like a Happily Ever After ending. The road getting there may be convoluted and full of loss, but ultimately, I like it if my protagonists ride into the sunset together. Real people who lived exciting lives and died as a consequence rarely get to the sunset part. Nope, they litter the road, so to say, even more so when one chooses to write about the 14th century where people quite often died much younger than us. Childbirth, sword-fighting, sickness, executions – various causes of death that were far more common then than now. It is therefore almost impossible to achieve that HEA I so long for – unless I select the characters with care. I could, for example, write about Edward I and his first wife Eleanor. Very much a Happily Ever After relationship, seeing as they seem to have had a fantastic marriage. BUT. Eleanor died just before turning fifty, and Edward was devastated, which means any book I write about them has to come to an end before this. Long before this, given that Edward and Eleanor also had the misfortune of burying ten or so of their children… But still: there’s potential for a HEA – a moment in time when everything was rosy for the leading couple. I may very well write about Edward and Eleanor – principally Eleanor – some day, but this time round, I’ve chosen to write about Roger Mortimer’s rise to fame and power – at the expense of Edward II. Now, some of you will say “Edward II? Isn’t he the dude who was killed with a red hot poker up his bum?” and I must immediately say no, no, no! Nothing points at the poor man having met quite so horrific a death. But as per official records, Edward II died in 1327 at the age of 43 which doesn’t exactly constitute a building block for a Happily Ever After. This is not necessarily a problem as my series focuses on Roger, the man Edward II dubbed his Greatest Traitor. I’ve always had a soft spot for Roger, who rebelled against his king when Edward allowed his royal favourite Hugh Despenser to go a bit too wild and crazy in his eagerness to appropriate wealth and power. As a result, Roger was struck in chains and thrown into the Tower – a lucky escape, truth be told, seeing as his fellow rebellious barons died – and Edward II was all geared up for the Happily Ever After, a sequence of years in which he and dear Hugh could govern England just as they pleased. This is when Ms Inspiration – my muse & slave-driver rolled into one – sighed, shook out her long, colourful skirts, and told me to use my imagination instead. “Ending?” I shuddered. That sounded like I’d kill this as yet unknown invented character off. But Ms Inspiration was on to something. And so, my series The King’s Greatest Enemy which feature Roger Mortimer and Isabella, Edward II and Hugh, and Edward III’s path from boy to man, now include Adam de Guirande, my loyal and honourable hero, torn in two between his loyalties to Mortimer (who saved him when he was a boy) and his growing respect and love for the young Edward III. To support Adam, I gave him a wife, Kit. Together, they navigate a quagmire of political deceit and treachery, and as we speak, I am not sure if they’ll make it out unscathed. Rephrase: I know they’ll not make it out unscathed, but I’m hoping they’ll reach their sunset moment – for their sake, and mine. So far, I’ve published two of the books in the series. We are at the halfway point, so to say, and I hope you all join me in crossing your fingers for Adam and Kit and their future Happily Ever After moment. Let me tell you, they need it – a lot. husband is Scottish or has a predilection for kilts, but because his family fled Scotland due to religious persecution in the 17th century – and were related to the Stuarts. For a history buff like Anna, these little details made Future Husband all the more desirable, and sparked a permanent interest in the Scottish Covenanters, which is how Matthew Graham, protagonist of the acclaimed The Graham Saga, began to take shape. 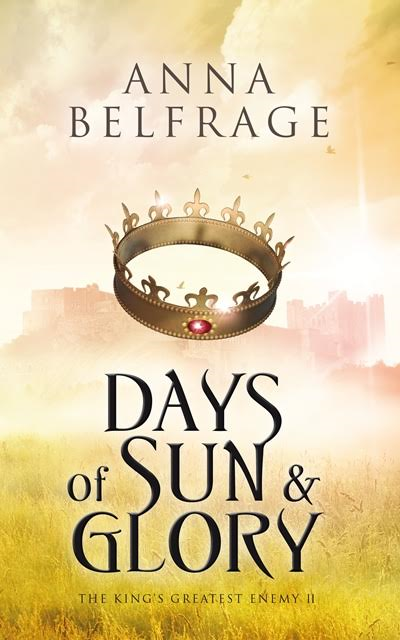 To win a copy of Days of Sun & Glory by Anna Belfrage, please enter via the Gleam form HERE. Spotlight on A Better Truth by Valerie Joan Connors + Giveaway!! When the frantic pace of her Washington, D.C. life becomes too much for her to bear, Willow St. Claire takes refuge in the North Georgia Mountains. She buys a bookstore, hoping to spend her days talking to customers about the latest releases, and her evenings in the quiet oasis of her mountain retreat. 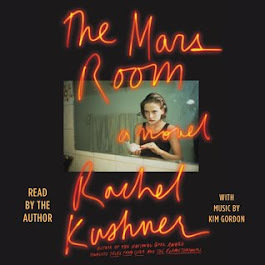 Alone in her cabin, two miles away from the nearest neighbor, Willow must learn to cope with the terror of her past, heal from the loss of her mother, and maintain a relationship with a teenaged daughter who refuses to leave D.C. where she lives with her father. But a knock at Willow’s kitchen door late one night sets off a series of events that will shatter her newly found peace and tranquility, and threaten to trigger another breakdown. Willow has held tightly to her own version of the truth for over three decades, because for her, real truth is far too disturbing to acknowledge. 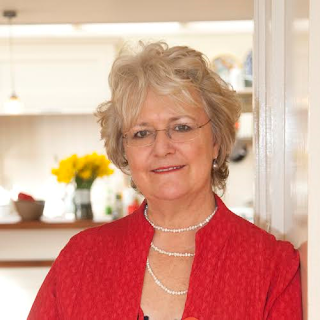 Valerie Joan Connors is the author of three other novels, A Promise Made (Deeds Publishing, Shadow of a Smile (Deeds Publishing, June 2014) and In Her Keeping (Bell Bridge Books, 2013). She is the Vice-President of Programming for the Atlanta Writers Club, an organization with more than 700 active members and a 100-year history in the Atlanta area. During business hours, she’s the CFO of an architecture, engineering and interior design firm. 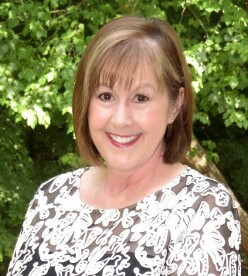 Valerie lives in Atlanta with her husband and two dogs and is working on her next novel. 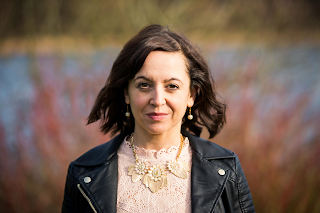 You can learn more about Valerie on her website and blog, and connect with her on Facebook and Twitter. 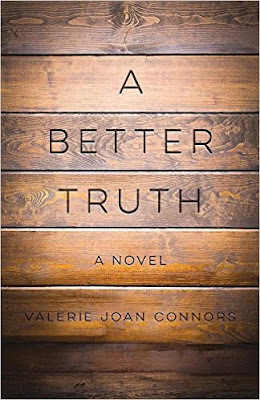 Thanks to Caitlin Hamilton Marketing I have one print copy of A Better Truth to giveaway today (US only)! All you have to do is enter your name and email address on the giveaway form HERE. Please be sure to leave both your name and your email on the form so I can contact you if you are my winner (no email address, no entry!). For extra entries you can follow the blog in various ways (links are on the right hand sidebar) and leave the name/email you follow with on the form. That's it! Please Note: When verifying the extra entries I've noticed that some people are saying they following me in certain ways that they, in fact, do not. I want to give extra entries to those that are actually taking the time to follow my blog, so please double check that you are in fact following me before saying you do. This verification is becoming a time consuming process so I will begin to remove all extra entries for those that I find are cheating. I'll use a random number generator to pick a winner on September 27th, 2016 and will announce the winner here as well as email the winner. The winner will then have 48 hours to respond to my email with their full mailing address. If you have already won this giveaway on another site please let me know so I can pick a new winner and give someone else a chance to win a copy of this great book. It's Time to #GetIndie with Litsy! Back in May I shared an interview I did with one of the co-founders of Out of Print in which we discussed their newest adventure, the social media app Litsy (see the post HERE). Since then I've become somewhat obsessed with the app, checking it almost every day for new book recommendations, fun bookish pictures, and to share the new books I'm receiving and reading all the time. It truly is an amazing and inclusive community of book lovers, with more than 30,000 members in 125 countries. And all since April! Amy’s September 2016 book tour has been converted into a Litsy-based indie bookstore lovefest. At each bookstore, Amy will post about her book as well as other books supported by independent venues. 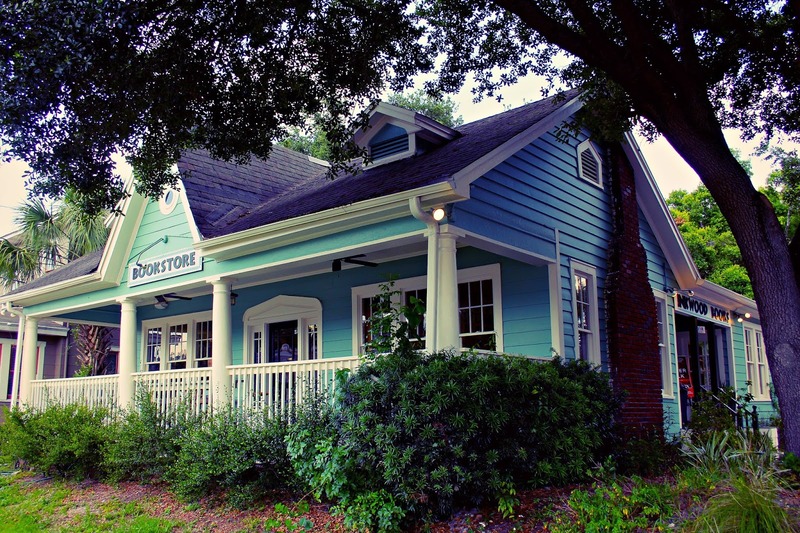 The movement will build an alliance for indie bookstores, as the country boasts hundreds of venues with authors promoting their books at each location daily. Social media is all about discoverability. Litsy displays how we interact with books and since each post is tied to a book, the #getindie campaign highlights what authors and readers are finding in specific stores. 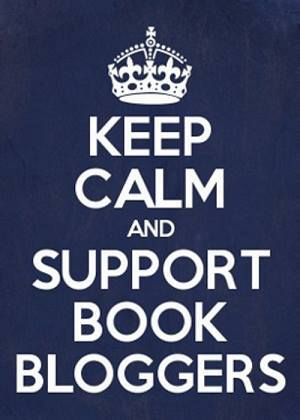 Amy’s getting the community involved by requesting their support by visiting their favorite independent bookstore, giving a shout-out to a book through a blurb or post and include the #getindie hashtag. She’s also recruited many other authors, including Alexander Chee and Christina Baker Kline. Look for it under the #getindie hashtag on Litsy. 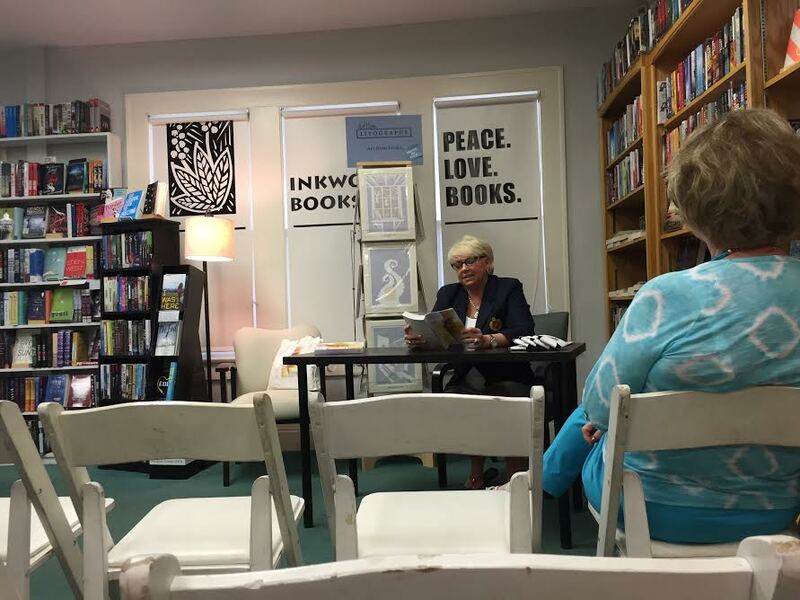 I recently shared my favorite local Indie Bookstore, Inkwood Books, on Litsy with the #getindie hashtag. 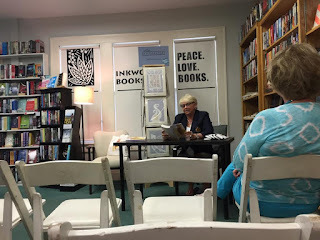 I've gone to a number of different author events at Inkwood Books, as well as attended events that discussed upcoming books they are excited about and of course just gone in to shop. I'm looking forward to possibly joining one of their monthly book clubs as well...they have all sorts of exciting stuff going on over there! ﻿Does anyone else have a favorite Independent Bookstore in their town? Is anyone else on Litsy? If so I would love to connect! You can find me on there as Colleen Turner or candc320, so come find me or leave your Litsy name in the comments! A gripping, page-turning and emotionally powerful story about love, loss and making peace with the past. ‘Beautiful, heartbreaking, uplifting…Really worth a read.’ Hello! Russell. She travelled extensively while working as a travel magazine editor, sating the wanderlust she developed while listening to her Sri Lankan grandparents’ childhood stories – the same wanderlust that now inspires her writing. She now dedicates her time to writing and freelancing as a social media consultant. Thank you so much, Billie, for taking the time to stop by A Literary Vacation! One of my favorite aspects of interacting with authors is finding out what inspires them to write the novels that they do. Every author seems to have their own unique approach to their craft and learning that process really helps me, as a reader, get a better appreciation for the end result. So I can’t wait to learn more about your process! Your book, PEARL's Party...and you're invited, sounds quite fascinating and promises to showcase an incredible woman’s life. What prompted you to tell Pearl’s story? It’s a pleasure to be here with you. Let me start by saying the book is not a work of fiction: it is a memoir about the fascinating life of my late mother, Pearl. After she died, as her only child, I had the job of clearing out her home and putting it on the market. What I found sprinkled throughout the rooms were trinkets and bits of ephemera that held stories about the life she lived. They were too unusual to let them die with her; I felt they needed to be told! With all the fun and poignant aspects of your mom’s life that it sounds like you included in the story, is there anything that you had to leave out? If so, why did you decide to cut it (story flow, continuity, story length, personal reasons)? As well as I thought I knew Pearl, her friends knew other things about her. Some of that was a bit off-color, and hearsay from my perspective. Clearly there were things my mother wasn’t proud of and shielded me from. I did uncover legal documents and photographs that would not have painted a favorable picture of her, and I thought she deserved, even in death, to have that privacy. There was so much to tell without it. While I’m sure you learned many of the stories directly from your mother, did you have to do any research, whether that be into your mom’s stories or into the history of the time periods? Did you learn anything shocking during the research or writing process? Yes, I did a fair amount of research. Part of my mother’s life revolved around Atlantic City, the closest beach to Philadelphia, where she lived. 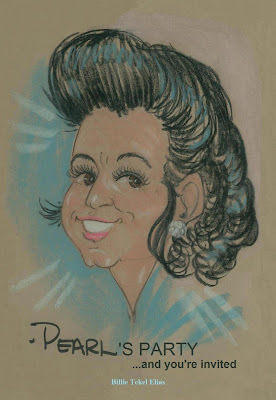 I had my own recollections of the town from childhood, but I needed to research things like ticket prices for the Bobby Darin concert on Steel Pier that she took me to in the early 1960s. I even had to research Donald Trump’s Atlantic City presence. I recalled how Pearl used the Vera Coking case as part of her negotiating strategy in a real estate deal with a casino. Coking was an elderly lady who was the last hold-out on her block, refusing to sell her home, so Donald built his Trump Plaza casino around her. What I learned that shocked me? Many things. The rent on the lease of her first business. The law suit that she (and my father) brought against a home builder. The stipulations in her divorce papers. I absolutely love all this history, whether that be historical fiction or nonfiction. Do you include any people or events from history as part of the backdrop to your mom’s story? Certainly. The big immigration wave of the early 20th century, the Great Depression, the economic cycle of Atlantic City, “the playground of the world,” are some of the historical elements that are touched on. When I made the decision to write the book, I dedicated myself wholly to it, writing for several hours or so every day. Part of my process involved organizing my primary source material, which takes up 3 linear feet and establishing a time line to place the materials on. Since I opted to self publish, my husband patiently functioned as my pseudo-editor and sounding board. He listened to me read passages to him and he’d make suggestions for how to improve them. That’s not exactly my approach. I’ve only given away a few books…one to a celebrity who I had hoped would love the story and help me promote it, another to a book store that wanted to read it before they’d carry it, and another to my college alumni magazine who I wanted to write a review. I have a fan page on Facebook and a presence on Instagram and Pinterest. My blog is probably the place that gets the most attention. I tend to enjoy memoirs, but to be honest, I haven’t been a voracious book reader since I was a child. I recently re-read The Hare with Amber Eyes by Edmund de Waal since like my own book it was a generational story woven around a group of objects. Two years after my mother died, I lost my 94-year old dad. He was very different from Pearl: an erudite world-traveler who worked on the Manhattan Project and trained many chemists during his career as a college professor. In all fairness to him, I promised myself that I’d write a book about his life, too. I’m also working on a quaint illustrated children’s book about how Dad’s family made their way from a small Ukrainian village to India, Japan and China over a hundred years ago. I own many century-old photographs that children today will marvel at. Let Pearl show you how to mambo through life. In this daughter's homage to her colorful mother, you'll jump on the rollicking ride of a foxy, voluptuous young divorcée who started unconventional businesses, loved casinos and martinis, and who was hip enough to be adored by gays and people half her age. Even dogs sensed her unique aura. Her style made her eight decades interesting and fun –for herself and for everyone around her. She let nothing get in her way. Plagued by diabetes and riddled with cancer, she stayed upbeat. She knew how to party! You may think you know someone well, until you sift through the ephemera they leave behind -- matchbook covers, airline tickets, hotel keys, restaurant menus. Each has a story to tell, and the music Pearl listened to brings those stories to life. Part nostalgia, part fun; it's a crazy party...and you're invited. Purchase Pearl’s Party…and you’re invited at Createspace, Amazon or Kindle. 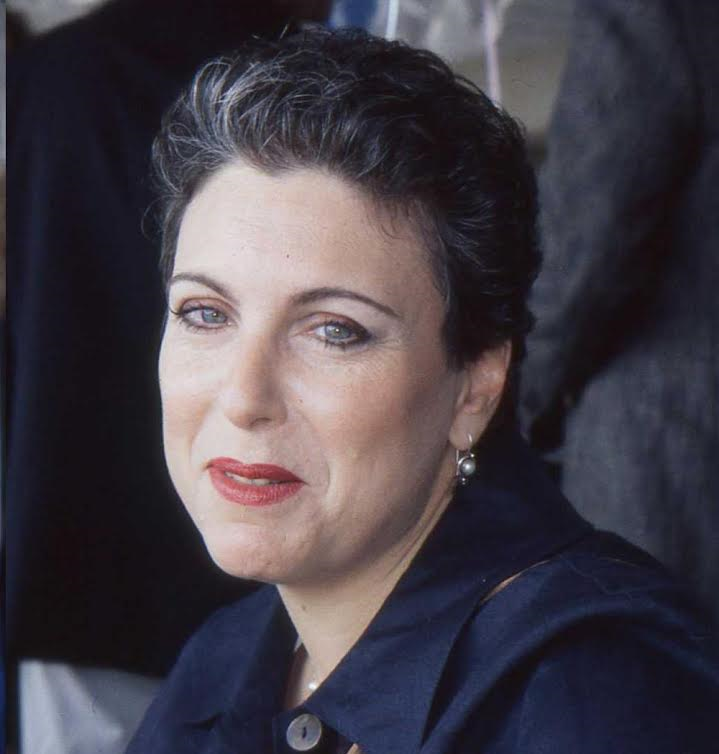 Billie Tekel Elias grew up in Philadelphia. Her parents divorced when she was young and she grew up with her artistic, business-minded, Auntie Mame-like mother. Her father was a Chemistry professor at a local university. After graduating from the top all-girls high school in Philadelphia, she spent her college years at Columbia Engineering, followed by graduate school at Stanford. She began to travel extensively in the 1970s, including a 9-week European backpacking adventure, two cross-country motor trips, and a self-directed family sojourn to the Yucatan Peninsula. Marriage and the birth of her child put her wanderlust on hold. Billie shifted gears again, embarking on a new venture, working from home as an educational toy consultant. This enabled her to grow a toy business alongside her growing child, and to take time to play with him. It turned out that high quality and prolonged interactions with a parent spurred the intellectual development of her child, a recent graduate of MIT. Writing a book marks Ms. Elias' fourth "career." money center bank, spanned seven years. Not aspiring to give the corporation the best years of her life, she quit her career to wander around Africa for a couple months. With the entrepreneurial spirit she inherited from her mother, she was determined to start her own business that would include lots of (tax-deductible) travel. She launched her own costume jewelry import business and now counts 40 countries and 5 continents as places she has visited. To find out more about Ms. Elias go to her website, and connect with her on Facebook, Twitter and Goodreads.